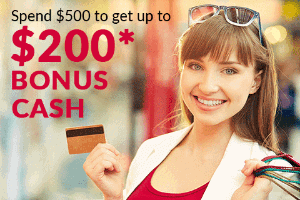 Bank of America® Cash Rewards credit card is offering $200 bonus cash and up to 3% cash back on your purchases in the following spending categories: gas, online shopping, dining, travel, drug stores, or home improvement /furnishings. It has no annual fee. 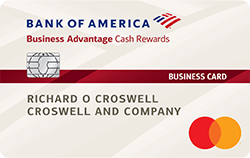 Bank of America® Business Advantage Cash Rewards Mastercard® has increased the bonus cash back from $200 to $300. New card members can earn a $300 statement credit after making at least $3,000 in net purchases within 90 days of your account opening - with no annual fee, no cap on the amount of cash rewards you can earn and they don't expire. Card members may earn 3% cash back on purchases in selected choice category. Bank of America® Platinum Visa® Business credit card offers $300 statement credit when you make at least $3,000 in net purchases within 90 days of your account opening. It has no annual fee. It also offers 0% introductory APR on purchases for 7 billing cycles. Avianca Vuela Visa Card offers 40,000 Bonus LifeMiles after first card use. Avianca is the largest airline in Colombia and second largest in Latin America. Avianca is a member airline of Star Alliance. Alaska Airlines Visa® Business credit card offers 40,000 bonus miles and its famous Companion Fare after qualified spending. New cardholders can get 40,000 bonus miles plus Alaska's Famous Companion Fare from $121 ($99 fare plus taxes and fees from just $22) after making purchases of $2,000 or more within the first 90 days of opening your account. ABOC Platinum Rewards Credit Card, issued by Amalgamated Bank of Chicago, is offering $150 bonus and 5x rewards on purchases in popular categories such as dining, groceries, travel, and automotive. In addition, it has no annual fee and 0% intro APR on purchases and balance transfers. If you are looking for a travel credit card that gives you big bonus and rewards, Capital One® Venture® Rewards Credit Card is one of the top visa signature credit cards for you. It offers 50,000 bonus miles after qualified spending, redeemable for $500 in travel, and rewards you 2 miles for every dollar you spend on every purchase. And you can also earn 10 miles per dollar when you use the card to book hotels at the Hotels.com platform through January 2020. It has no foreign transaction fees. In addition, it gives you another $100 credit to pay for the application fee for airport expedited screening of Global Entry or TSA Pre✓®. It was rated ‘The Best Travel Card‘ by CNBC in 2018. 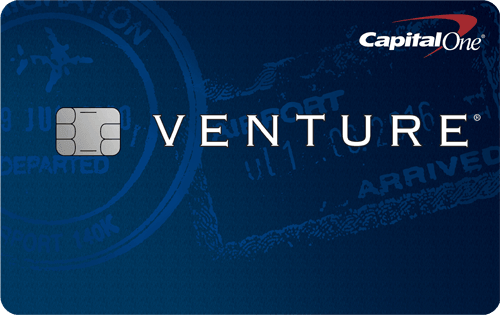 If you like rewards and abundant travel benefits, the Capital One® Venture® Rewards Credit Card would be the great card for you. 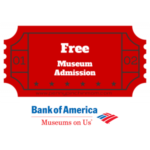 Bank of America has been running a distinctive program of Museums on Us® for over 20 years to offer its customers free admission to over 200 popular museums on the first full weekend of every month. To qualify, simply present your active Bank of America, Merrill Lynch or U.S. Trust credit or debit card along with a photo ID to gain one free general admission to any participating institution, excluding special exhibitions, ticketed shows and fundraising events. 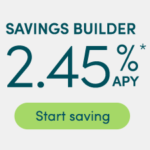 CIT Bank’s Savings Builder is one of the best online savings accounts available in the U.S. market. It offers 2.45% annual yield, which currently ranks among the highest in the nation. To be eligible for the 2.45% high yield savings, you need to either make a deposit of at least $100 each month or maintain an account balance of $25,000. This savings account is designed to be friendly to working families, because most working adults can set up employer payroll to receive paycheck funds via direct deposit to meet the eligibility requirements. 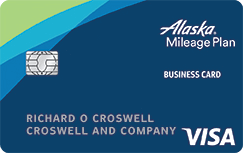 If you are a frequent flyer, the Alaska Airlines Visa Business credit card is a great credit card for you to earn travel rewards, especially for flying Alaska Airlines. It offers a package of competitive rewards and travel benefits, including rewards of 3 miles per dollar on direct Alaska Airlines purchases and the famous Alaska’s Companion Fare every year. In addition, you can earn 40,000 bonus miles after qualified spending. 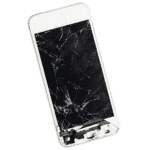 If you are a Wells Fargo consumer credit card customer, you can enjoy complimentary Cellular Telephone Protection provided by Wells Fargo, which reimburses you for damage to or theft of your cell phone. Just use your Wells Fargo consumer credit card to pay your monthly cell phone bill, and you will get up to $600 of protection, subject to $25 deductible, against covered damage or theft. Capital One Spark Cash for Business is giving out impressive cash bonus of $500 after qualified spending. In addition, it offers unlimited 2% cash back on all purchases. It is an ideal cash rewards credit card for people who spend thousands of dollars on a regular basis, such as business owners, eBay or Amazon sellers, drop shippers, frequent business travelers, etc. Do you know that you only need to spend $500 on a new credit card to get a bonus of $150? Yes, a few credit cards actually offer new card members a rich bonus of $150 after a minimal $500 is spent on purchases within the first 90 days. This is a whopping 30% cash back on the first $500 charged to your credit card. In addition, many of these credit cards also offer 3% cash back on select purchases, 0% introductory APR, and have no annual fee.